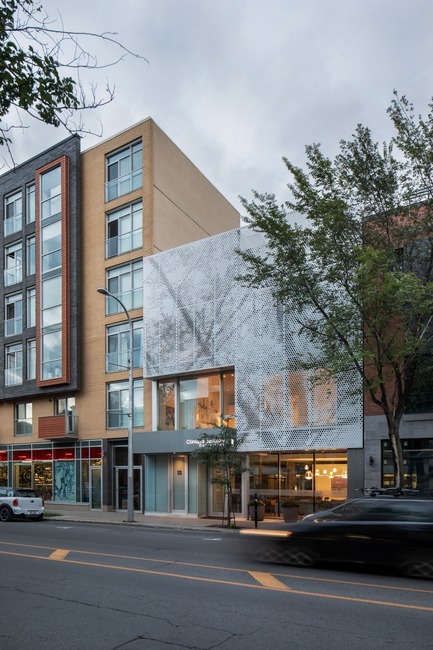 The client wanted to transform and expand a two-storey building on Van Horne Avenue in Outremont, Montreal. 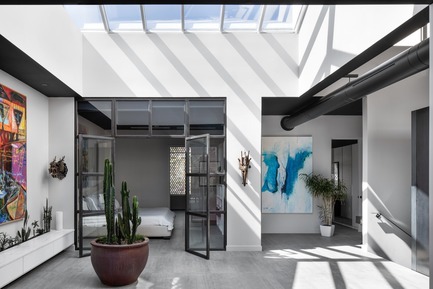 The ground floor was to be used for commercial purposes, while the second floor would have an apartment for rent and the third floor would be the client’s home. 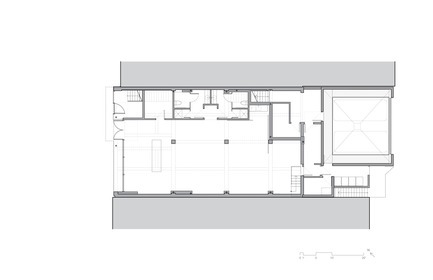 Of the existing building, only the concrete structure of the ground floor was to be preserved. 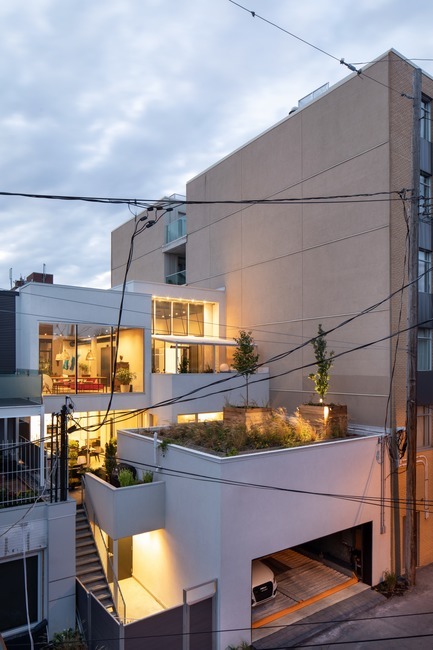 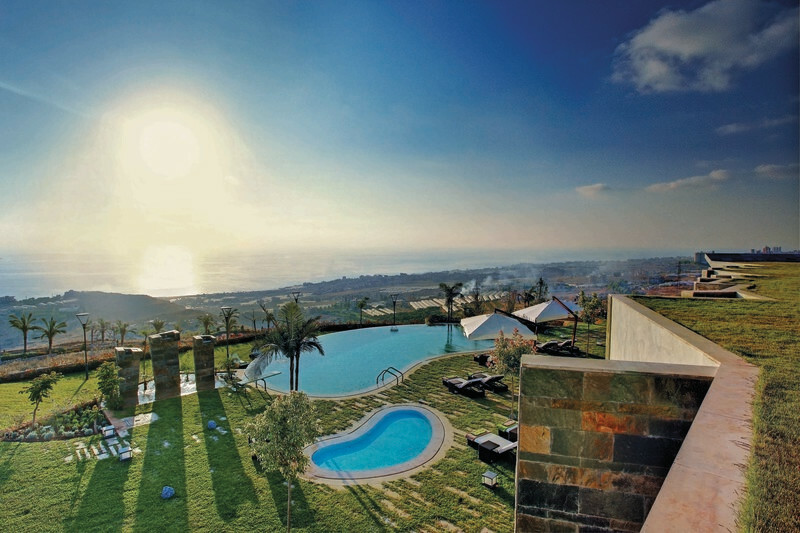 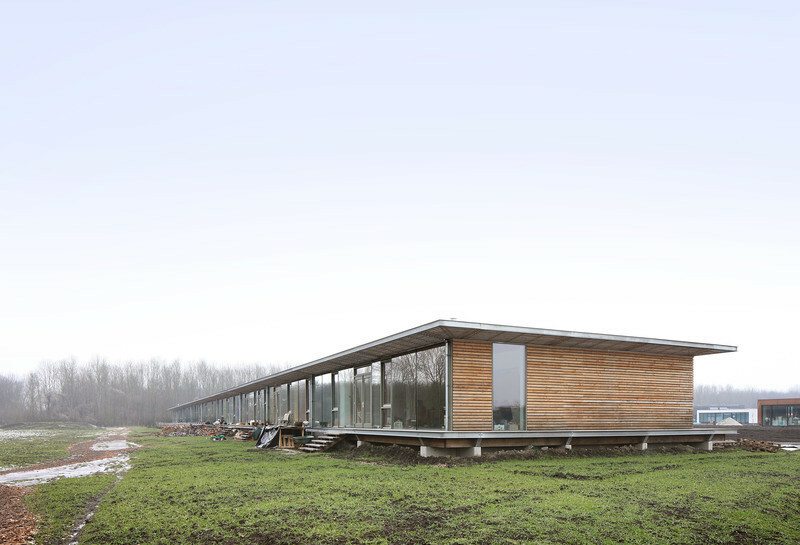 The project plays with a series of imbricated volumes. 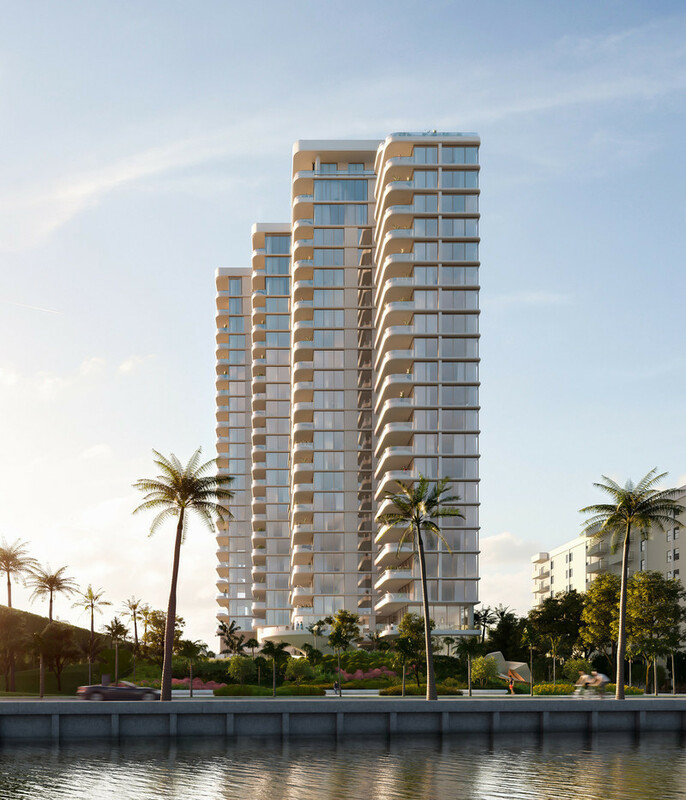 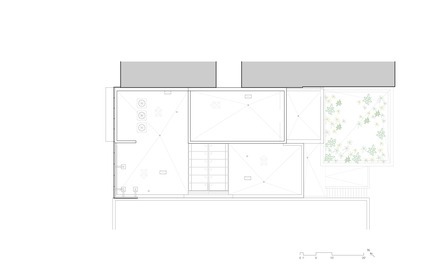 In the back, the boxes either protrude or are set back, creating a private outdoor terrace for each unit. 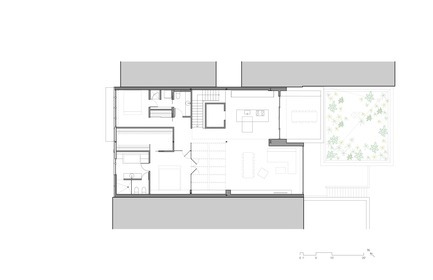 The interplay of volumes also shapes the interior. 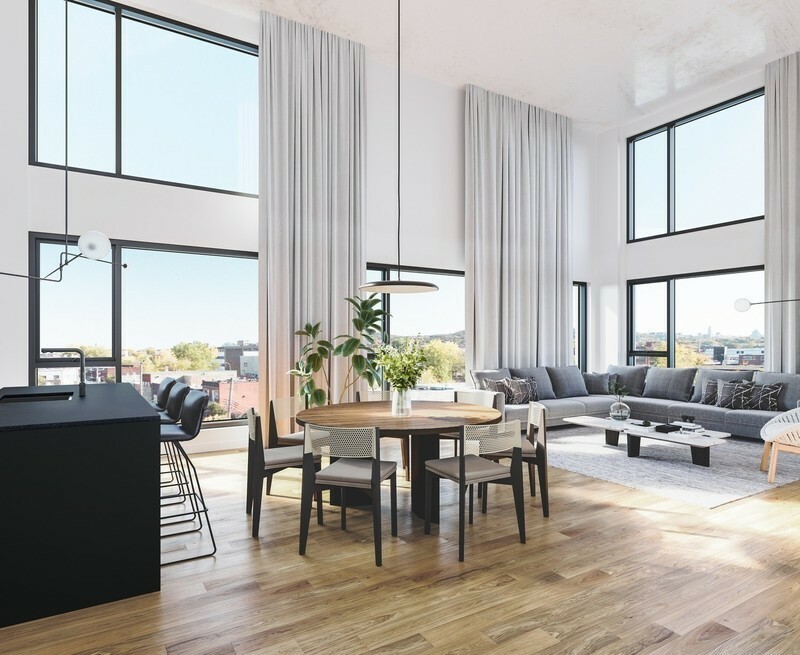 In the third-floor unit, the kitchen has a very high ceiling, with a large opening in the back leading to an outdoor terrace. 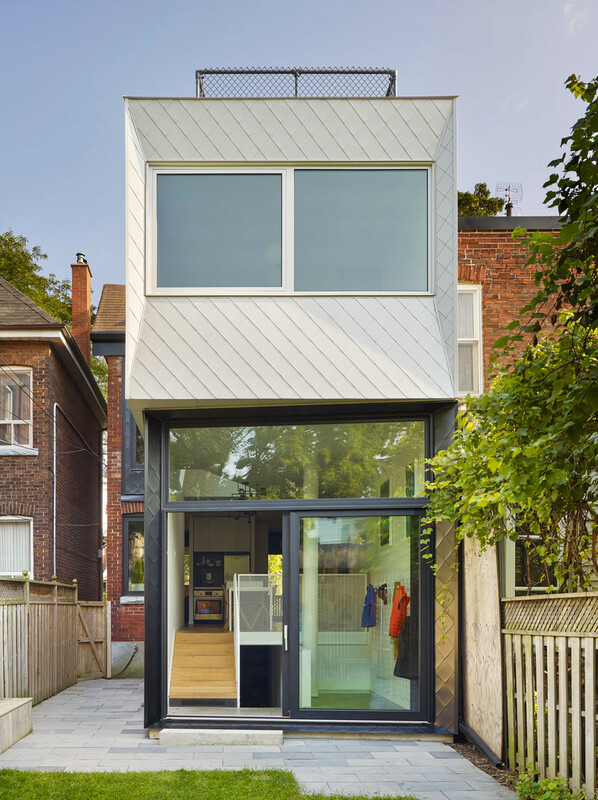 This overheight also made it possible to include a window strip on the west side to bring afternoon sunlight inside. 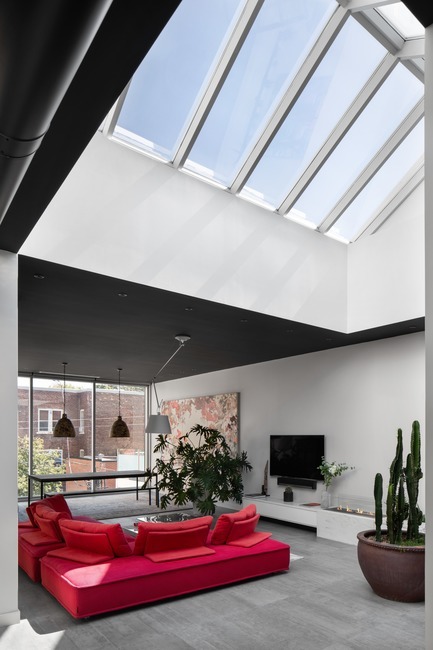 The living room is clearly distinct from the bedroom block thanks to a large skylight that opens up the roof over both spaces. 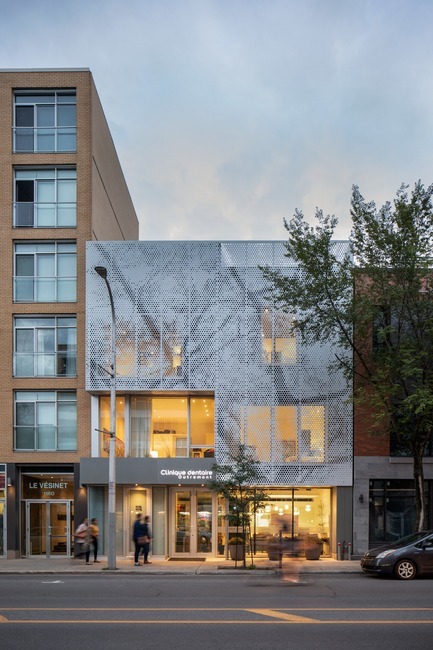 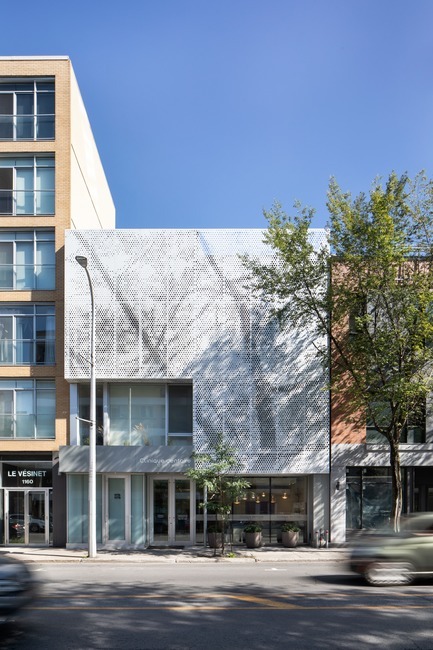 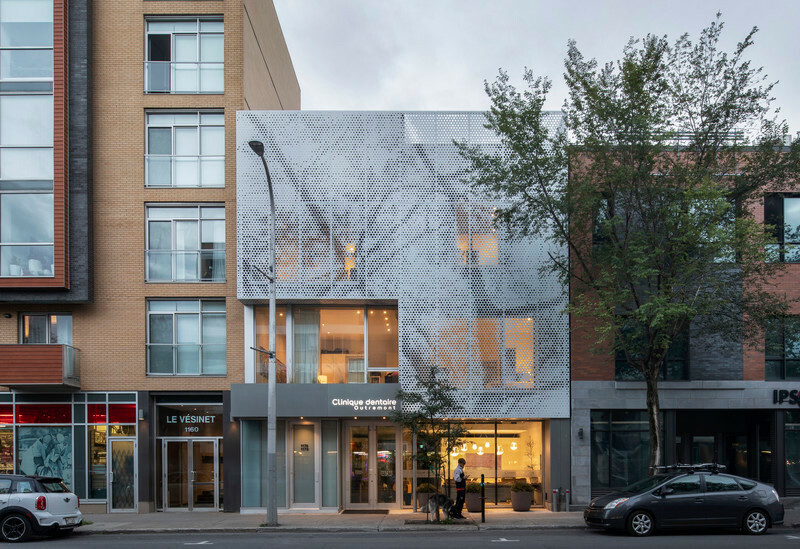 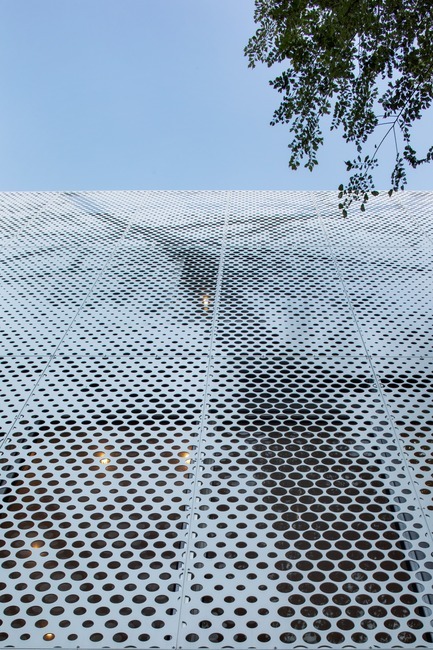 The signature element of the street façade is a superimposed screen made of perforated aluminum panels, painted white. 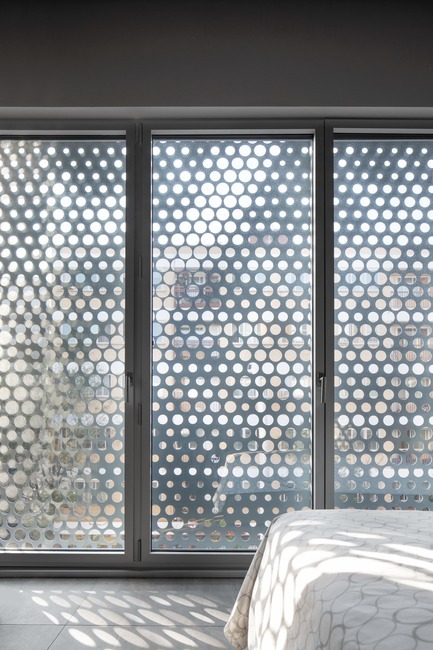 This “lace-like” screen covers the residential floors. 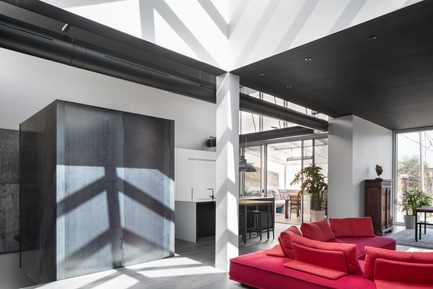 Viewed from the inside, the screen acts as a cloister, protecting the occupants’ privacy and blurring the view of the large 6-storey building across the street. 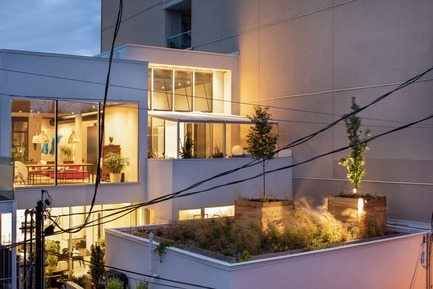 In the evening, when the lights are on inside, the building lights up like a lantern. 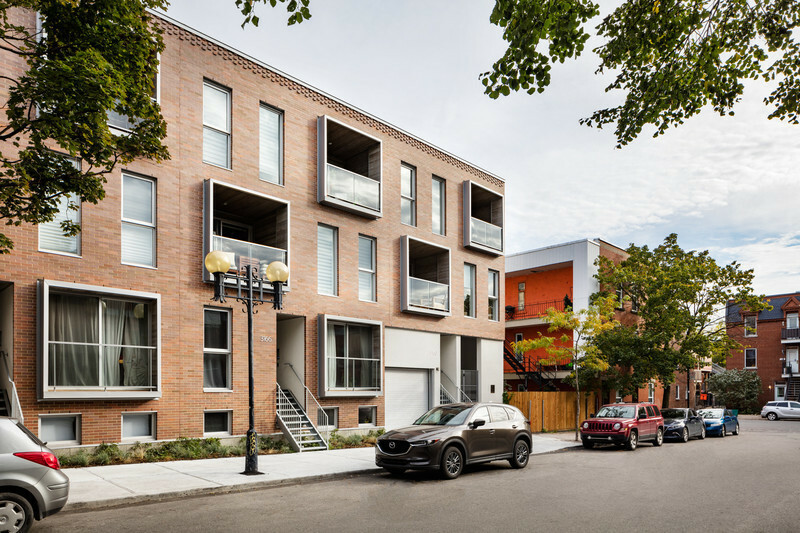 A recess on the second floor of the main façade creates a loggia, an architectural element often seen on Van Horne Avenue. 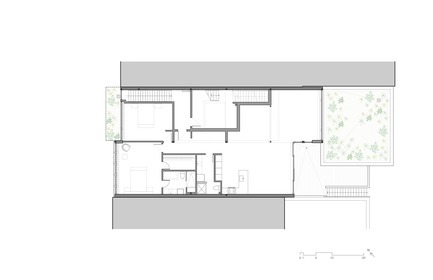 The loggia holds a green roof installed on a cantilever, marking the entrances to the apartments and the dental clinic. 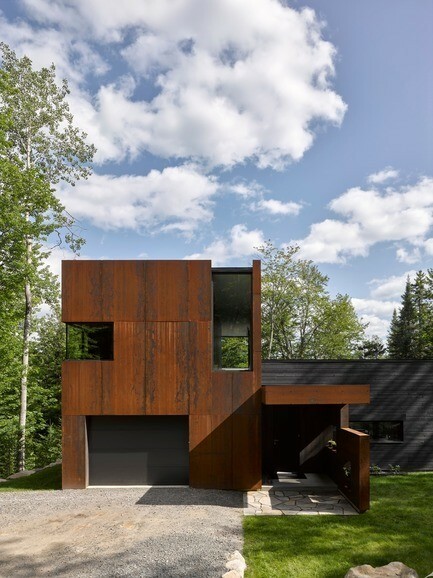 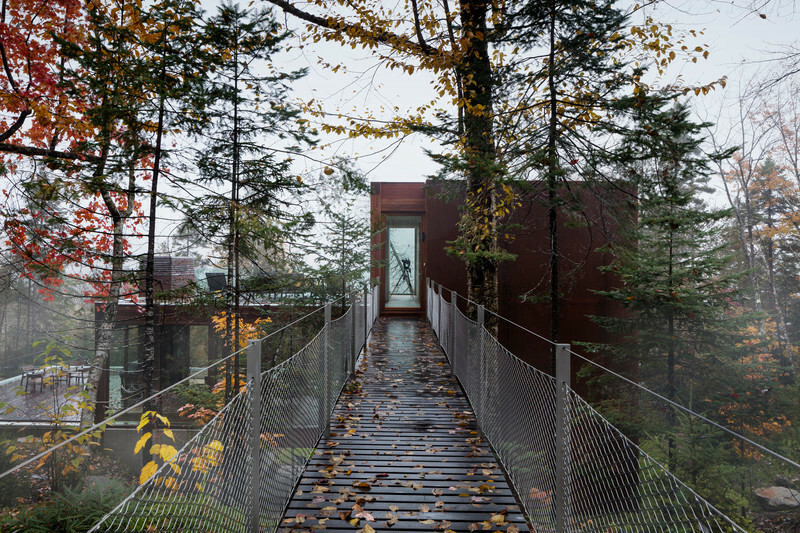 Paul Bernier Architect is a contemporary architecture firm founded in Montreal in 1999. 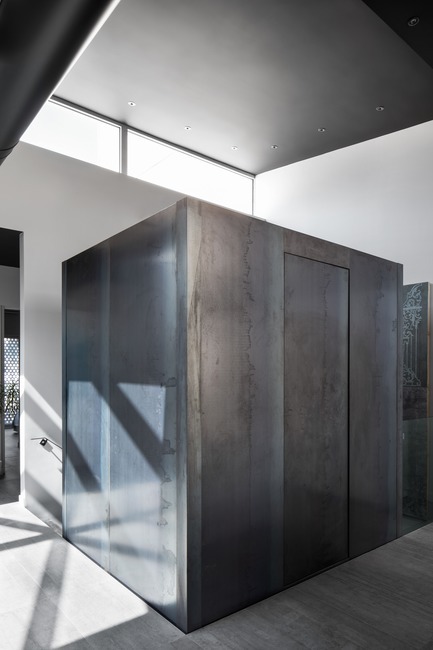 The firm’s work is characterized by an emphasis on natural light and an inventive and contemporary approach to the treatment of space. 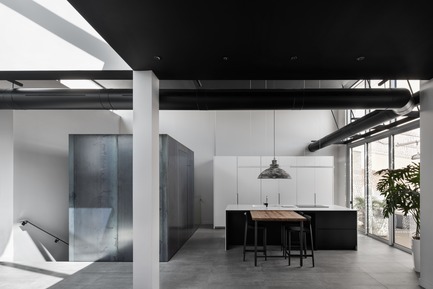 They also take great care in the selection and assembly of materials. 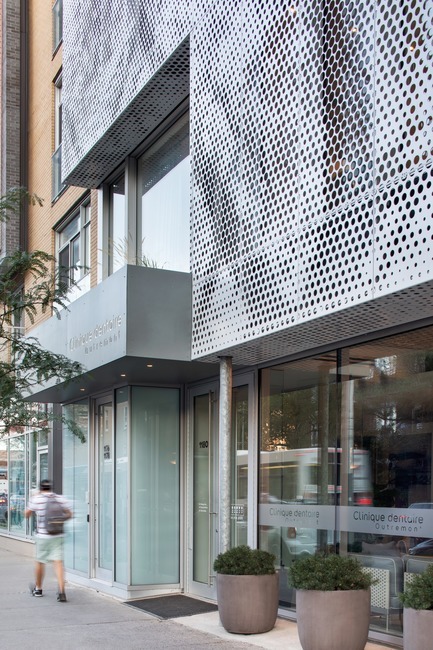 Attention to detail is at the heart of the firm’s design practice.